Gov. Andrew Cuomo delivers his State of the State address at the Empire State Plaza Convention Center in Albany, NY Jan 13, 2016. Photo Credit: Newsday / J. Conrad Williams Jr.
His aspirations were sweeping, his proposals many, and his wish list of projects impressive in number and scope. Together, they could dramatically change New York State and its residents. But Gov. 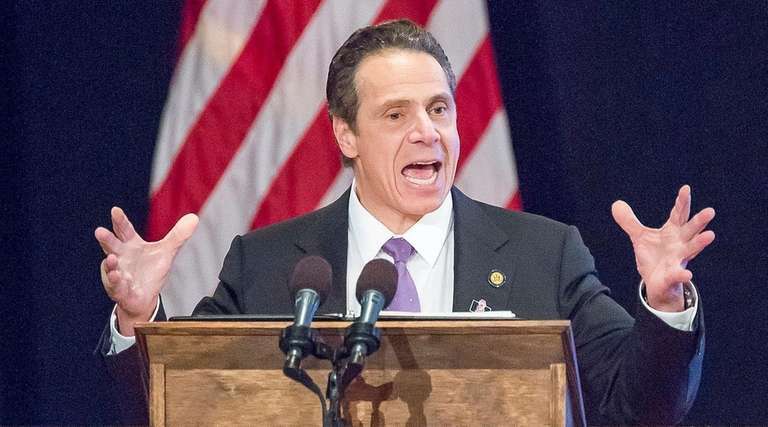 Andrew M. Cuomo’s State of the State speech yesterday was not pitched only to New Yorkers, or the crowd gathered in the Empire State Plaza Convention Center in Albany for the elaborate event. Cuomo spoke to the nation, too. And his message was clear: This is New York, not Washington. We get things done here. It was a theme to which Cuomo kept returning — because it’s good politics, because it has some truth, and because it helps make the case for him as a national leader. He started early, noting Washington’s failure to rebuild the nation’s infrastructure despite both parties agreeing it must be done. Then he outlined his own ambitious and praiseworthy agenda, much of it announced previously, including a rebuild of LaGuardia Airport that he said would be the first new airport in the United States in more than 20 years. 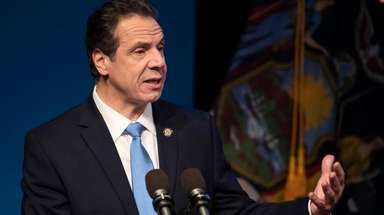 He highlighted new items that would make or keep New York a national leader on clean energy, climate change, food labeling, and contracts for minority and women-owned businesses. While everyone else talks about economic inequality, Cuomo said, he is doing something about it by phasing in a raise of the minimum wage to $15. The legislature should join him in that endeavor and many others on his agenda. Now we await details on how he will finance proposals that will cost tens of billions of dollars. The unappetizing business of budget negotiations will dominate Albany for the next 11 weeks. Education aid, for example, will be increased, but to whom and in what form? In the end, some groups and regions will lose. Some initiatives will fall by the wayside. One that cannot be allowed to die is Cuomo’s package of ethics reforms. He never noted this was his first State of the State speech without Sheldon Silver and Dean Skelos, the former heads of the Assembly and Senate, both of whom were convicted last year of corruption. But Cuomo correctly termed 2015 “ugly.” He called for limiting outside income of legislators, closing the LLC loophole for campaign contributions, establishing public campaign financing, requiring consultants to register as lobbyists, and stripping state pensions from legislators convicted of crimes related to their service. The people of New York are disgusted with unethical and criminal behavior. Pass these reforms. Cuomo also proposed to increase voter registration by making it automatic when someone gets a driver’s license. Again, the details will be important but increasing participation is always a good idea. And he continued to embrace progressive causes by pushing for 12 weeks of paid family leave. 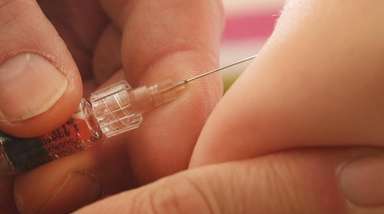 The administration says the initiative would end up costing workers about $1 per week. His appeal — a deeply personal story about realizing he should have spent more time with his father, former Gov. Mario Cuomo, in the last months of his life — brought rousing and sustained applause that Senate Republicans should find difficult to ignore. Cuomo finished by again invoking New York’s legacy of leading. By which he meant his own legacy. Now he can expand that. He put a lot on the table. It’s up to him to get it done.